MacAulay-Brown, Inc. (MacB) announced today that it has promoted Fred Norman to Senior Vice President and General Manager of MacB’s Mission Systems Group (MSG). He will report directly to Sid Fuchs, President and CEO of MacB. In his new role, Norman will provide strategic direction to a team of more than 500 that supports the Group’s DoD, Intelligence and DHS customers. Norman will continue to personally lead MacB’s growing relationship with the Special Operations Forces (SOF) community. Norman was formerly Vice President of MSG’s Operations and Logistics Division where he provided customer support to MacB’s Special Operations, Air Force and Army programs. Prior to joining MacB in 2002, Norman was Director of the Advanced Concepts Branch at Titan Systems Corporation. 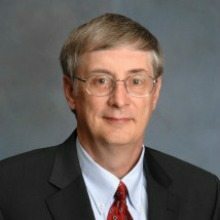 He was responsible for developing concept of operations using advanced technologies to support customers throughout the Defense and Intelligence communities. Before joining Titan, he spent more than 20 years in the Air Force, retiring as a Lieutenant Colonel.